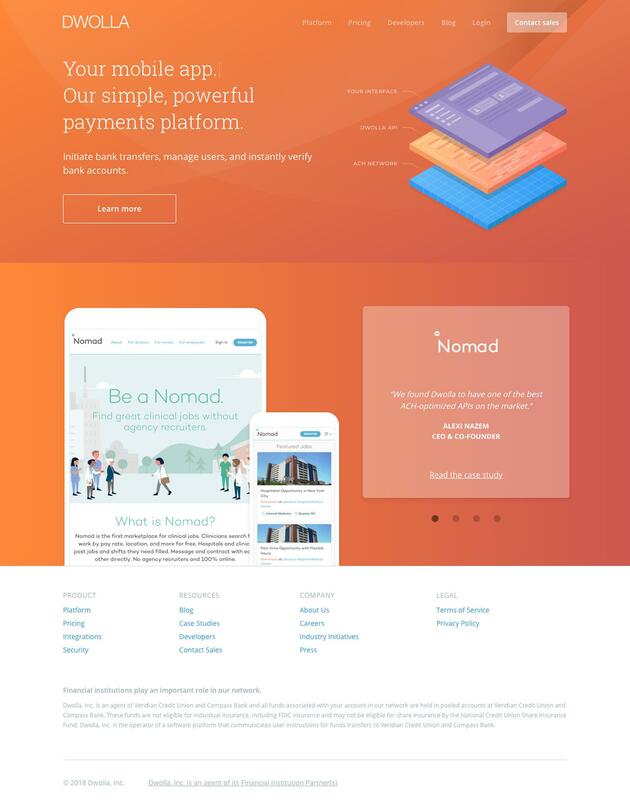 The Home Page on dwolla.com, owned by Dwolla, a company in the Finance industry. Get real-time competitive intelligence insights & updates for Dwolla. Dwolla’s ACH APIs make it easy to integrate bank transfers. Facilitate ACH payments, or verify customer and bank account information within your platform.